It Had been just over three weeks since Remus had fallen into the river after the death eater attack in London. His broom had been damaged by one of their curses which broke it into three pieces which had fallen into the river along with him. It was a clear night, crisp and clear as the stairs and moon shined above the city and above the houses and homes. Down one of the hundreds of narrow alleys a door opened, a pub located, not too far from the river itself, old and rustic, gloomy looking, as it's windows were boarded up and it's sign outside was defaced with what looked to be black spray pain. The back door was open and there were three people there talking, two men and a women, but their faces were hidden by the shadows. One of the men were pushed out and into the narrow alley way between the buildings. He fell to the coddle fall with a splash as he was pushed down into a dank dirt puddle of water which had dripped off from some guttering above. The other two went back inside and slammed the door shut leaving the other out in the cold of night. The man panted and slowly got up to his feet, his breath could be seen from the cold. He then looked down the alley which led on to the main street where muggles could be more packed. He made his way down dragging his leg behind himself, as if forcing himself with all his strength. Remus stopped by the mouth of the alley and looked out, no one was about, could the attack still be plaguing the Muggles, what had the ministry done? He wrapped his torn and soaked cloak around himself as he slumped down battered and beaten. After leaving Cody's house, Jasmine walked down the streets of London deep in thought. It had been almost a month since she seen or heard from Draco and almost 3 weeks since she spoken to Cody. Jasmine began to wonder if something bad happened to them. She choked back a sob and shook away those thoughts and told herself that Cody and Draco were both fine. Jasmine continued to walk down the street until she sees someone slumped down in one of the alleys. She walked over to the man who looked battered and beat up and asked politely,"Hey, are you okay?" He looked up and through his stringy damp hair at her and saw Jasmine. His eyes narrowed as he glared at the girl. He snapped before pulled his knees up and pulled his cloak round himself. Jasmine took a couple of steps back and she immediately recognized who it was. Jasmine felt stunned and she didn't understand what she did this time. Remus looked like he was in bad shape and Jasmine walked after him wanting help,"Remus? Oh my god, what happened? You look like you got into a fight." "I don't know, maybe you know more than me...maye you were the one who shot me down!" Jasmine looked Lupin confused,"What? What are you talking about? Who shot you down? What makes you think I did it?" "Because I told you to stay away, you couldn't handle it and came after us, with the DeathEater.. so you could kill me and make the others think it was the death eaters!... perfect crime!" Jasmine looked at Remus for a bit and she sighed and sat next to him. She knew that there was no denying that she is a Death Eater but, the Dark Lord hasn't been sending her any missions lately. Jasmine was planning on turning spy for the Order anyway. She looked up at Lupin with a slight frown on her face,"I would never kill you, Remus. I wasn't even around when you were shot off from your broom. I was at Cody's house at the time. The next time you see him, ask him and that should clear a few things up. Why did you see someone who looked like me or something?" "Bit hard to when you are kept in the dark, just thought you were the perfect person to do something like this!." "Where are you here? if you didn't know I was here, by just turn up as soon and I'm delt with? makes no sense, but does at the same time.."
She saw a town up ahead and wondered if Remus could have sought help from the muggles who lived here. She climbed the steep bank and stood up looking at the buildings and the dirty alley's that lay before her. She started walking into town hoping to find something to lead her to Remus. She found a road close to the river and followed it. Jasmine stood up and looked down at Lupin with a slight glare. Her left eye began to twitch with anger and she clenched her fists at her sides,"So, just because I'm a Death Eater you automatically assume that I was the one who did this to you? Sorry Remus, but you have to do something horrible like kill Draco or disown Cody in order for me to kill you. I'm evil but, not that evil. For your information, I went to Dumbledore to ask his permission to come back to the Order and work as a spy for him." She turned around and had her back facing Lupin as she clenched and unclenched her fists. "A death eater is a death eater, and you just admitted you would kill me! and you are evil, which means you might join the Death Eaters for good, with that greasy piece of pig headed trash! I trust you and any other Death Eater as much as I would trust Voldemort looking after Harry!" He said pulling himself to his feet. "...I think you came to finish the job, then to go and get Draco.. then kill the rest..."
He said feeling for his wand, but he'd lost it in the river. She saw two dark figures in the alley. They seemed to be arguing about something. She held on to her wand tightly...not knowing if they were muggle or death eaters. 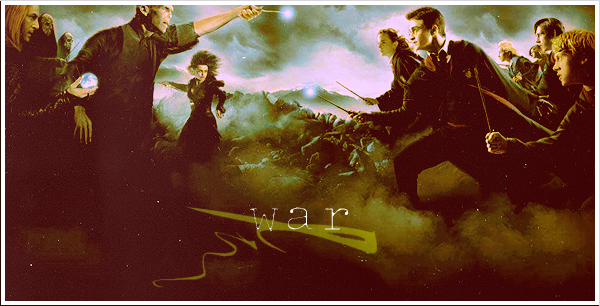 Jasmine turned around and faced Lupin fighting the urge to draw out her wand and curse him. Her temper was building up and if she wasn't careful, she would transform into her demon form on accident. She glared at Lupin trying to keep her temper from rising anymore,"I only admitted I would if you provoked me. I don't kill people unless my life was in danger and I won't kill you because, I love Cody as much as I love Draco." "I TOLD YOU I DON'T WANT YOU NEAR MY FAMILY! AND YOU WERE THE ONE TO DECIDE IF YOU WOULD JOIN THEM, OR US, ISN' T MY FAULT YOU MAKE THE BAD CHOICE! YOU ARE A DEATH EATER!" "...Just go and find Draco.. and Leave us till the war.."
Jasmine felt her rage bubble up to the surface and she shouted,"CODY IS MY FRIEND!!!!! HE'S ALWAYS THERE FOR ME WHEN NOBODY ELSE IS!!!! WHY CAN'T YOU UNDERSTAND THAT!!!!! I BETRAYED THE DEATH EATERS WHEN I SAVED HARRY'S LIFE!!!! THAT'S WHY I'M COMING BACK TO THE ORDER!!!! AND IF YOU SAY ANOTHER WORD ABOUT DRACO, I WILL KILL YOU!!!!!" As she got closer she saw Robes and another wearing a old cloak. She heard the man yell to the woman. "Remus is that you", she yelled out not able to stay quiet. She started running toward them now. Jasmine fell to her knees and unable to control herself much longer, she bust into tears ignoring the shouts of a woman in the alley. He was about to shout back but his side aches and felt like it was crushing his insides, he then heard a cry and looked round to see someone running, a women. She came up on them breathing rather hard. Remus, she said as she threw her arms around him hugging him. "I thought I had lost you", she said almost crying with joy that he was alive. "..Didn't think you would notice me gone.."
"..She's a death eater, I was kept in a building just up from here, was just kicked out not so long ago, then Jasmine appeared..."
Jasmine looked back up at Remus with tears still flowing down her pale cheeks glaring at him,"Correction, WAS a Death Eater. I was just walking down the street and I thought that he was a drunk and I just walked over to help him. Nothing happened, Pandora." She turned to see that the other person was Jasmine. "What are you doing here", she sneered at at her? She was confussed everyone was looking for Remus and her stood Jasmine and she made no effort to tell anyone or help him. "FROM ME! WHAT DOES THAT MEAN, I LOVE HIM AND COULDN'T HARM HIM UNLIKE YOU I WOULD DO ANYTHING FOR MY FAMILY SO JUST ZIP IT! YOU HAVE NO RIGHT TO TELL ME THAT, AND HE IS MY SON AND YOU ARE NOTHING!" "KILL ME, GO ON, DO IT, THEN YOU HAVE CODY AND DRACO!" 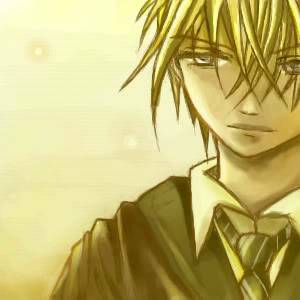 Jasmine stood up and she glared at Lupin and looked at Pandora,"I just walking down the street and then I saw him in the alley. Thinking that he was a drunk and I walked over to help him." Hearing what Remus said Jasmine drew out her wand and aimed it at both Pandora and Remus and said in a shakey voice,"At least I don't ignore him, unlike someone I know. You take another step toward me, I won't hesitate to defend myself."